When asked who inspires you, what do you say? A family member, a boss, an old teacher, all makes good sense. For me, I have to model myself after someone who is like minded and embodies that entrepreneurial spirit that I wake up every day fighting for. I have been a fan of Bethenny Frankel for quite some time, just because she seems like someone that gets it, works hard and doesn't follow the mold that is laid out for everyone else. It is just nice to know that there are people women out there that make stuff happen. Bethenny is debuting nationwide her talk show on September 9th. 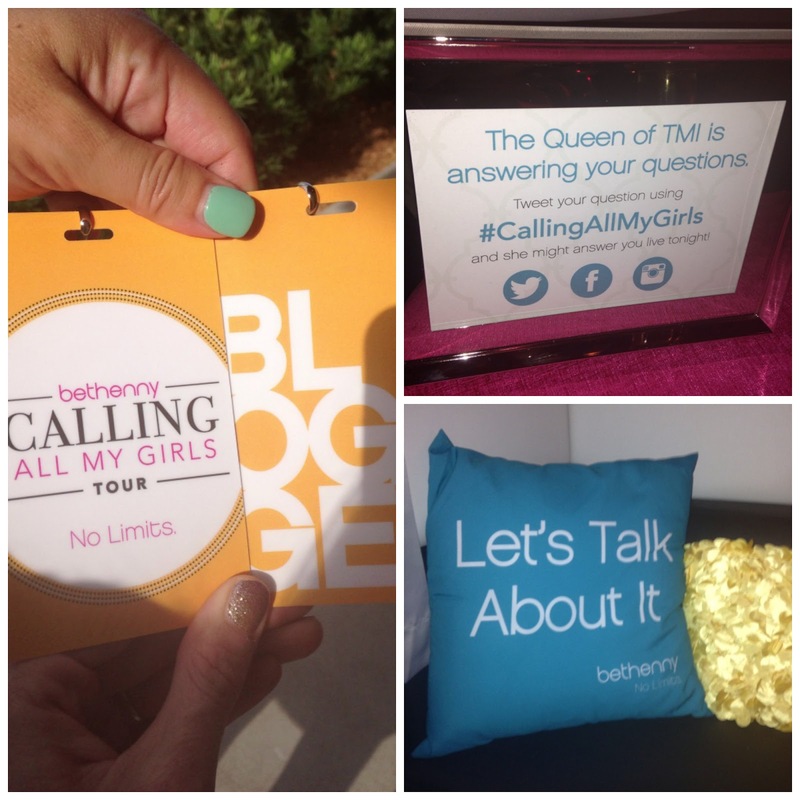 Megan received an invitation as a Tampa blogger to come as a VIP to her Tampa stop on the Calling All My Girls tour. What is funny, is that we both entered the NYC National stop (which I hope to still win, ha ha) and I didn't think about going to the Tampa stop. The event was at Grille 116 (which was hot as a Grille, but anyways) and we received pink carpet treatment with blogger laminate and Skinnygirl cocktails galore...oh! It was awesome. What you may or may not know about me, is that my background is in radio. I have met every single alternative artist in the 90's you could throw a stick at. Some of them are my dearest friends...so to say that I don't get nervous to meet someone I respect isn't really a stretch. I was really excited to meet Bethenny but I was nervous as hell, haha! But, I wasn't leaving her side without telling her that I was a small business owner, she inspires me and I was so freaking excited for her next journey. I don't think I took a breath through that whole word vomit diatribe. I am sure she hears it all the time but I wanted to let her know that as a girl trying to make it happen for herself...she is quite the role model! If this week wasn't crazy enough for Miss Bethenny, her book Skinnygirl Solutions came out today. In our fabulous swag bag came a copy and I can't wait to dive in. 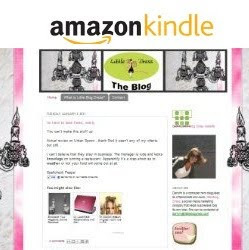 So come September 9th, check out your local Fox affiliate or on her website here, you can enter your zip code. Oh, and cross your fingers that we get to go to NYC for the National stop. You can enter here too but you may be begged to take me with you. I don't snore. Labels: I Say When, Me-Inc. I Love Bethenny as well!!! How exciting that you got to meet her!!!! That's so exciting!!!! So I spotted the love of my life at the grocery store about 2 years ago and I told myself I had to say something to him... So... I went up to him at the check out line and said, "I wanted to tell you that I am a huge fan.... Have a delicious sandwich" - REALLY>!>!>>!>!>! WTF WTF - ahhh ha ha ah aha! I SHOULD HAVE given him my card or SOMETHINGGG - BAHHH! Such a great time! I am so glad you made the trip over to visit me and go to this!